The student should be aware that CC-MEI 2019 edition is a 3.0 ECTS course that requires an effort from the student equivalent to 75 hours(3.0 ECTS*25 hours/ECTS). This means more than 10 hours per week(4 hours in class+ 6 hours outside of class on average) for 6,75 weeks. It is not recommended to take this course if the student has other commitments during this quarter that will prevent to dedicate the required amount of hours to this course. You can wait for the next course edition. The practical component is an important part of this subject. In this course the “learn by doing” method is used, with a set of Hands-on that the students must carry out throughout the course. The course will be marked by a continuous assessment which ensures constant and steady work. The method is also based on teamwork and a ‘learn to learn’ approach reading and presenting related topics in short presentations. Thus the student is able to adapt and anticipate new technologies that will arise in the coming years. In-class exams: Midterm & Quizzes will be administered during regular class time and in the regular classroom. Activities focused on the acquisition of theoretical knowledge. Regular and consistent attendance is expected and to be able to discuss concepts covered during class. The theoretical activities include participatory lecture classes, which explain the basic contents of the course. Attendance in class is mandatory unless you have a reason to miss class that is acceptable to the instructor. Students are responsible for all material and projects are given in class whether they are present or not. It is the responsibility of the student to obtain handouts, assignments, projects, etc. for any missed class from a fellow student. Activities focused on the acquisition of knowledge through experimentation (Hands-on) by “learn by doing” approach mixing theory and practice in regular class sessions (some of the hands-on will involve writing a report with all the results to be delivered to the “Racó”). 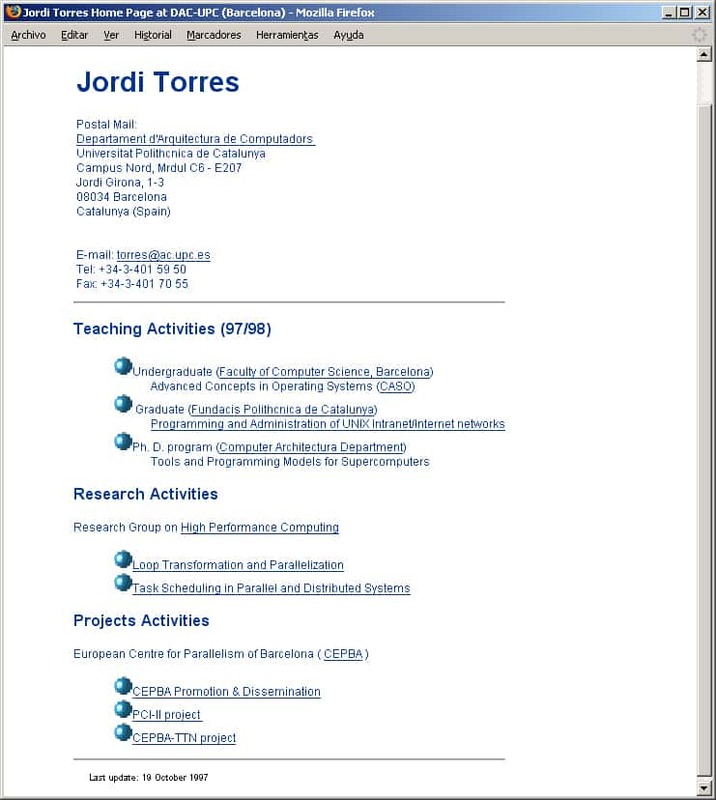 Homework will be assigned weekly that includes, finish hands-on by your own, reading the documentation that expands the concepts introduced during lectures, and periodically will include reading research papers related with the lecture of the week and prepare short presentations (with slides that will be submitted to the “Racó”). Some students/groups randomly chosen will present their short presentation. In-class exams will account for 25% of the grade. Attendance & participation in class will account for 15% of the grade. Homework, reading papers and presentations will account for 20% of the grade. Python is the programming language of choice for the labs’ sessions of this course. It is assumed that the student has a basic knowledge of Python prior to starting classes. Also, prior exposure to Git and experience with Linux basics will be necessary. Class handouts and materials associated with this class can be found on the Racó (FIB intranet) or through links on this page. Banner picture: CC-MEI 2018 students.